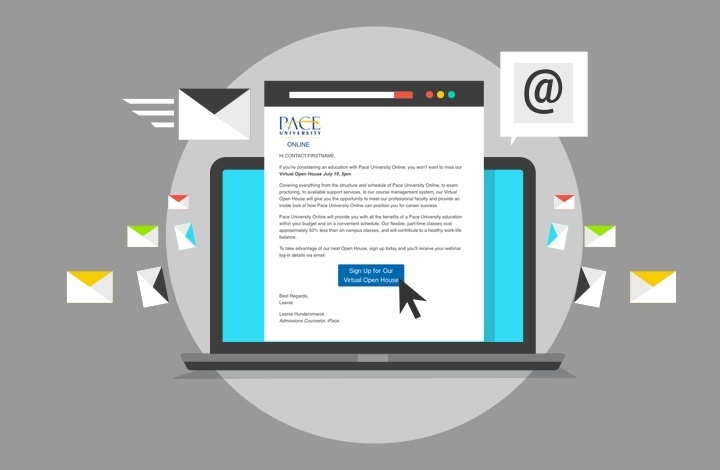 iPace, Pace University’s online undergraduate degree program, needed to enroll students for the fall term after severing ties with a call center responsible for lead nurture. 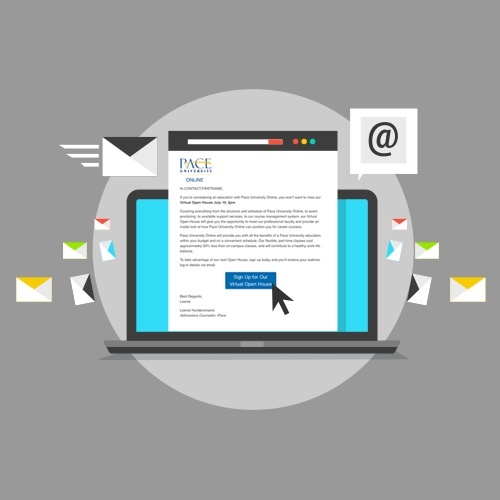 With less than two months until the start of the fall semester, iPace had over 2,200 potential leads, with more coming in every day, and no communication plan in place. With only one Admissions Counselor, it was a daunting task. 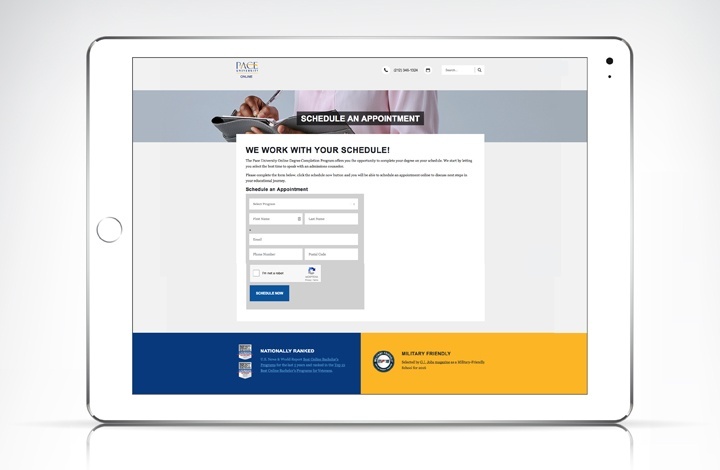 Hudson Fusion was engaged to create a lead nurture strategy to communicate with current and new leads that would support the limited in-house staff responsible for moving students through the application process. 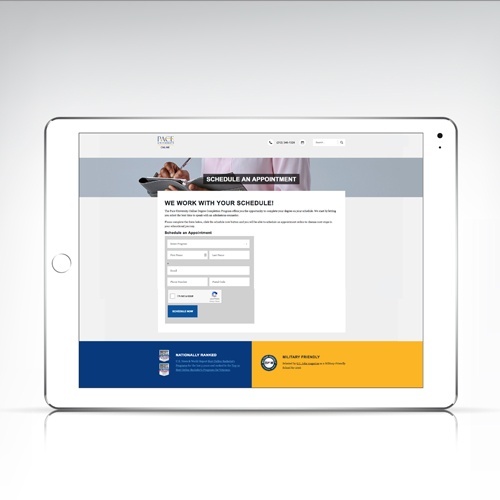 Hudson Fusion’s objective was to move leads to the point of application with a goal of 60 new applications. Brought iPace to the HubSpot marketing and sales platform as a vehicle for automated communication, and to effectively track user engagement for an integrated sales cycle. “The team at Hudson Fusion has made all of the difference in designing and implementing a successful digital tracking and communications plan for our online degree programs. Their creative efforts and expertise have been a tremendous resource. It feels like Hudson Fusion is an extension of our organization. They have worked seamlessly with our staff to make our campaign a success within a very short timeline.